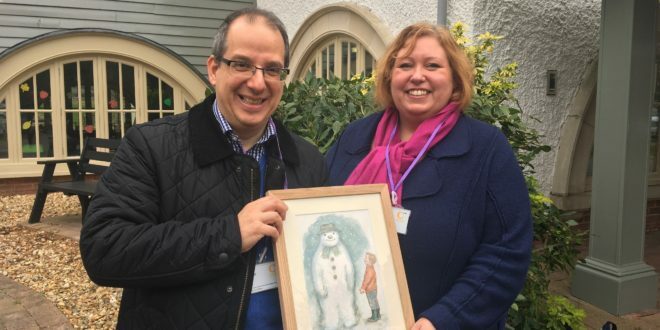 Penguin Ventures and Penguin Random House have raised more than £10,000 for charity through a highly exclusive The Snowman art auction held in the run up to Christmas. As part of the 40th anniversary of Raymond Briggs’ The Snowman, Penguin asked leading children’s book illustrators to recreate The Snowman in their own styles. 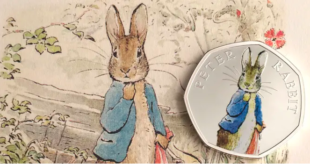 Quentin Blake, Adam Hargreaves, Shirley Hughes, Helen Oxenbury, Chris Riddell, Posy Simmonds, Andy Stanton, Ed Ver and the late John Burningham each paid homage to Briggs’ creation for the charity drive. The nine unique pieces of artwork then went on display at Brighton Museum, alongside an exhibition of the original illustrations from The Snowman. The one-off pieces were all signed by their illustrator and available to buy via an online auction. The £10,180 raised has now gone directly to Raymond Briggs’ chosen charity, Chestnut Tree House children’s hospice, of which he is a patron. The auction also included three copies of the 40th anniversary edition of The Snowman, signed by Briggs. The most sought-after artwork in the auction was the illustration by Sir Quentin Blake, which paid tribute to The Snowman’s scarf, that Quentin said he always felt was not long enough. The one-off signed piece fetched £2,245 in the auction and was won by an anonymous bidder. Not far behind in the auction was Helen Oxenbury’s artwork. One of the world’s most acclaimed children’s illustrators, Oxenbury’s numerous books include the double prize-winning Alice’s Adventures in Wonderland, and the one-off ‘My Snowman’ piece features The Snowman with a dance partner under the moonlight. Snapped up for £1,950, the artwork was bought by a long-term Chestnut Tree House supporter, who has decided to loan the picture to the hospice. Emilio Di Nello placed the winning bid for the Shirley Hughes artwork, which he and his wife collected from Chestnut Tree House recently. “The Snowman is a sublime piece of visual storytelling that has entered the imaginations of generations of children,” said Chris Riddell. 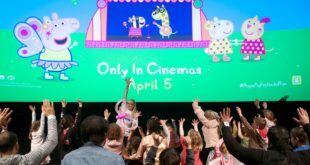 Isobel Richardson, head of brand management at Penguin Ventures, said: “A key ambition for the 40th anniversary of The Snowman was to create an opportunity that celebrated Raymond Briggs as an artist, whilst simultaneously raising awareness of Chestnut Tree House, a charity that Raymond has supported for many years. Janet Parsons, head of communications at Chestnut Tree House children’s hospice, added: “We are incredibly grateful to our friend and Patron, Raymond Briggs, for his ongoing support of Chestnut Tree House. "For over a decade, Raymond has helped us in various ways – both in terms of fundraising and increasing awareness of the specialist care we provide for life-limited children across Sussex and South East Hampshire. 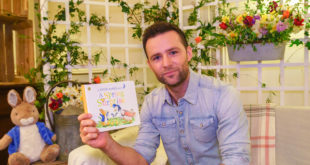 “Celebrating moments, friendships, and making memories are central to both Chestnut Tree House and The Snowman story, and we were honoured to be the beneficiary charity of this special auction.